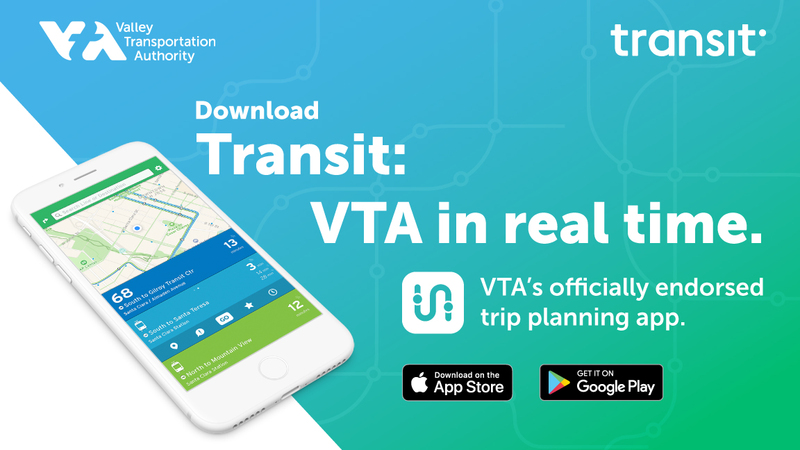 VTA officially endorses the Transit app for real-time information and trip planning on your smartphone. Download in the App Store or on Google Play. VTA has created or worked with developers to create the following suite of apps for our customers. Together, they will make your trip on VTA easier, more predictable and safer. We continue to work with developers to create additional apps and improve these ones to enhance your experience. 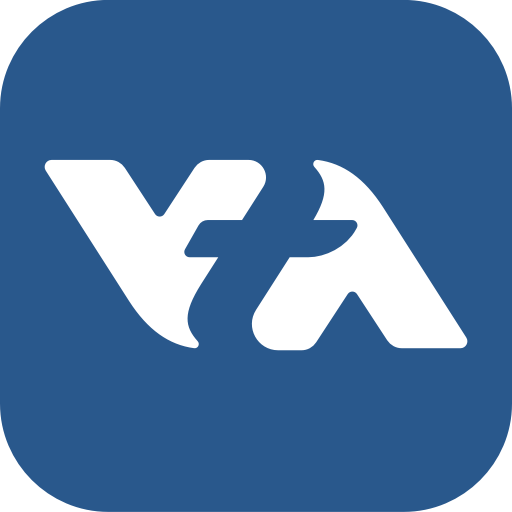 The developers of these apps provide all support for the apps, not VTA. Please use the contact information in the apps to contact the developers' support desks if you need help using them. This safety application is designed for the VTA bus and light rail system in Santa Clara County in California. 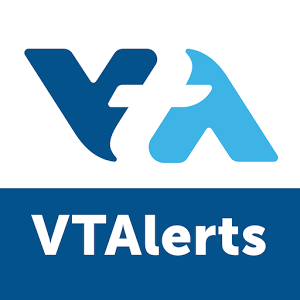 The VTAlerts App offers riders a quick and discreet method for reporting safety concerns and suspicious activities directly to VTA Security or, in the event of an emergency, directly to police. Riders can send VTA security pictures, text messages, and locations of suspicious persons and/or activities making riding safer and more comfortable for all. These are some of the apps that have been created by others and may be helpful to VTA customers. VTAdid not create any of the these applications, we make no claim about their accuracy, we are not responsible for any virus or damage the apps may cause to your device, and we don't support any of these applications. Send us an email at customer.service@vta.org if you would like us to add your app to the list. Citymapper is the ultimate award-winning transit app making complex cities easy to use! A to B trip planning with ETA including all modes (subway, bus, rail, ferry, bike/car sharing, Uber). Real-time departures. Transit maps. Line status and real-time disruption alerts. Uber integration. Bike routing and live bike share info. Everything you need -- and may not even realize you need -- to manage your life in the city. Moovit simplifies urban mobility all around the world. Moovit’s free app on iOS, Android and the Web is in more than 2,700 cities in 87 countries and 44 languages. Moovit provides: Real Time departures, service alerts, transit maps and trip plans. Moovit will make getting around the Bay Area via transit easier and more convenient.. The 511 SF Bay Transit Trip Planner makes it a breeze to plan your public transit trips on the go in the nine-county San Francisco Bay Area.